With all the other specifications being the same as Rapid Charger 13, this variant is compatible with devices with the type-C port with reversible connector. Toreto announces the launch of two new car chargers, Rapid charger 13 and Rapid charger 16. Rapid charger 13 comes with four charging ports and is compatible with all Android, iOS devices with those with Qualcomm 3.0, type C and USB charging pin. It comes with a 1.8-metre long wire and can charge a type-C device as well as two USB devices at the same time. The current input and output ratings of the Rapid Charger 13 stand at DC 12-24V and 3.4 A, respectively. Coming to the Rapid Charger 16, this also comes with compatibility for iOS as well as Android phones. The output is optimised according to the charging capacity of your smartphone or tablet. 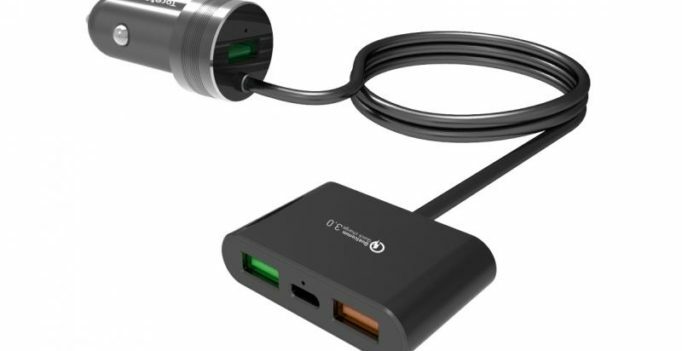 With all the other specifications being the same as Rapid Charger 13, this variant is compatible with devices with the type-C port with reversible connector. Rapid Charger 13 is available in classic black colour at the price of Rs 999, while Rapid Charger 16 is available in classic black and white colour at the price of Rs 449. 10 National Award winners come together for Amitabh Bachchan’s Pink! Why is Iulia Vantur MIA?